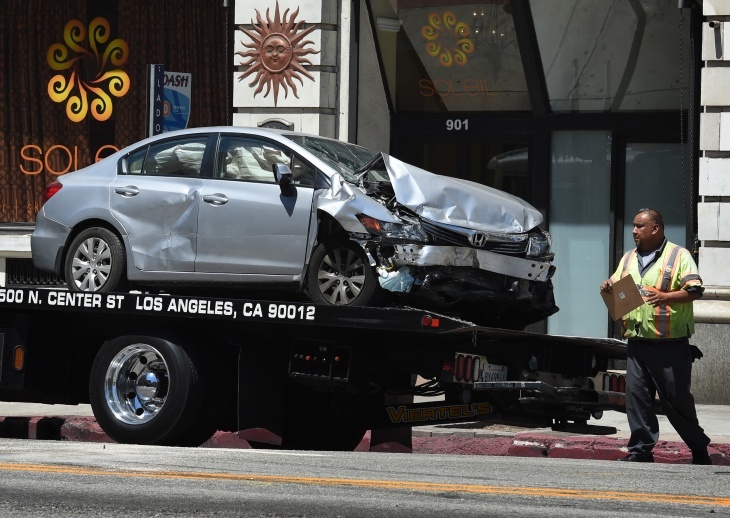 The Los Angeles Police Department announced the launch of a new system Monday that allows anyone involved in certain hit-and-runs, resulting only in property damage, to fill out a report online. The system applies to situations in which a driver flees the scene without leaving their information, replacing the need to summon a police officer to the scene. Part of an effort that began in 2015 to bring the department into the 21st century when it comes to technology, the department hopes that this new program will save both the public's and officers' time, said LAPD Chief Michael Moore in a press conference. "We make more than 400,000 reports a year in the same manner in which we did 20 years ago," he said. According to Moore, every time an officer responds to a call involving this type of incident, their response takes approximately two hours. Allowing people to file online makes "more effective use of our police resources," said City Councilwoman Monica Rodriguez, who serves as chair of the council's Public Safety Committee. The new system is designed to ease the burden for victims of such incidents. "Those of us that have been in a fender bender and we're on our way to work, we often don't have the time or make the time to actually wait to file those reports," said Rodriguez. "They are going to have an easy, online solution." The system lives on LAPDonline.org, and involves a series of steps that Moore estimates will take users about 15 minutes. In the end, a PDF is generated that can be used for insurance purposes, or as proof that a report was filed. "This is our effort to try and be more resourceful, to find efficiencies," said Rodriguez. But for all other accidents, you'll have to do things the old-fashioned way.